The MindShift Gear FirstLight 20L Bag in the wild! MindShift Gear is no stranger to outdoor gear with their fantastic Rotation line of backpacks. VoTogs was lucky enough to receive the production version of their latest product, the FirstLight (20L), a few weeks early. Unlike the Rotation series, the FirstLight does not have a built in belt pack that can swing around without getting the pack off your back. The FirstLight is a more conventional backpack format, with a bucket load of carrying space, ability to customise the compartments inside and a whole lot of comfort when wearing. It has been a while since I have gone on a serious hike, particularly now with other priorities taking up my time. But on the other hand, I can carry my gear (and a few snacks, drinks) rather comfortably whilst taking my boys to the park up the road. MindShift Gear FirstLight Camera Bags. Ideal for every trek. Being an avid hiker in a previous life, I am pretty pedantic when it comes to adjusting my pack for comfort. Afterall, when you are carrying about half your body weight over a couple of hundred kilometers on foot, you want your pack to sit just right. The FirstLight was obviously designed with comfort in mind with plenty of adjustment points to suit a range of body sizes. Aside from the usual strap adjustments, this backpack has an adjustable torso length, allowing the weight to sit just at the right spot. Importantly for me, this allows me to easily change the center of gravity depending on the load I have inside. The MindShift Gear FirstLight 20L allows for plenty of adjustments to straps on the rear. The back of the FirstLight has three separate regions of padding for the shoulders level, middle back and lower back. MindShift Gear certainly did not skimp on the padding as there is plenty of it between my back and the gear. A wide strap fits snugly to my hips and I found it a nice touch to have an elasticise loop to tuck in the stabiliser strap that is usually left dangling. In fact, all the little pull straps have elasticised loops to keep them close to the main ones. Unzip the FirstLight fully and all your gear is available for easy access. There is no shortage of included dividers to divvy up your bag as you see fit, all of these are velcro types which can be attached anywhere inside the bag. Three zippered mesh compartments on the inside of the cover allows for plenty of triggers, cables, spare batteries, cards and what not. Through a deceptively small top opening, the cover itself can hold a laptop up to 15 inch in size (actually it fits my work 15.6″ laptop – just). The MindShift Gear FirstLight (20L) has plenty of room for gear! On the outside are attachment points for a tripod or a few. The options are to use the side pockets for the feet and a compression strap at the top, or the front of the backpack with a small pouch for the leg which is neatly tuck away when not in use. And no outdoor gear bag would be complete without a rain cover, which is included by default. After giving the 20L version of the MindShift Gear FirstLight a good work out, I can confidently say that it has all the hallmarks of a great gear bag in a good size for my purposes. The build quality is superb, with strong zippers and material that feels tough, while not abrasive. The bag just feels solid and well made. Of note is that the bag has a good amount of padding between the exterior and the interior, which is great for when hiking and moving through dense bush, to severely reduce risk of any gear inside being damage in the event of a stumble (and to reduce the risk of bruising my back). To date, I have not discovered any shortcomings, and with the larger variants offering hydration pockets, I strongly recommend this bag to anyone who likes to travel with plenty of gear. I am totally looking forward to putting it through the paces more thoroughly. If you’d like to purchase a MindShift product, please consider visiting their store via this affiliate link. It helps us with running costs and occasionally buy a beer. •	Interior mesh pockets for storing filters, batteries, cables, etc. 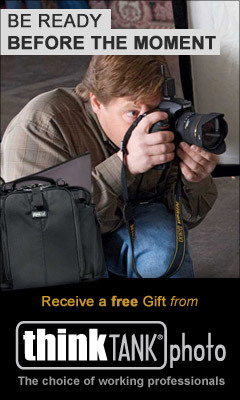 •	FirstLight 20L: Holds 1 standard-size DSLR and 4–6 standard zoom lenses. Holds 2 large Mirrorless DSLRs and 5–7 lenses plus a flash. Maximum lens size: 200–400mm f/4 detached or 300 f/2.8 attached. •	FirstLight 30L: Holds 1 gripped DSLR and 4–6 standard zoom lenses, and 1 flash. Maximum lens size: 500mm f/4 lens detached or 400 f/2.8 attached. •	FirstLight 40L: Holds 2 gripped DSLRs with 6–8 standard zoom lenses and 1–2 flashes. Maximum lens size: 600mm f/4 lens detached or a 500mm f/4 attached. A collection of images from MindShift. Click to cycle through images. It was a nice review and I need your advice. I have zeroed in on Firstlight and Fstop Ajna but I am unable to decide which is ibetter for my needs. I have a neck problem (C3/C4) and get easily fatigued with 3-4 hours of travel with my cullman sydneypro backpack.So I now use a sipderpro holster for minimal kit . However for a workshop I need a good day bag with excellent weight distribution of hiking bags ,which provide excellent support and comfort.Could you help me choose between the same.